Tammy Harkey is a successful educator with 10+ years of expertise supporting First Nations across the country develop and implement culturally relevant programming that supports Aboriginal learners. She is passionate about ensuring that learners have the support they need in order to achieve their maximum potential in society. Tammy is currently the Dean of Student Services and Registrar for the NEC Native Education College. She has a minor in Early Childhood Education, a Master’s Degree in Curriculum and Instruction, and she is currently a PHD candidate at Simon Fraser University. 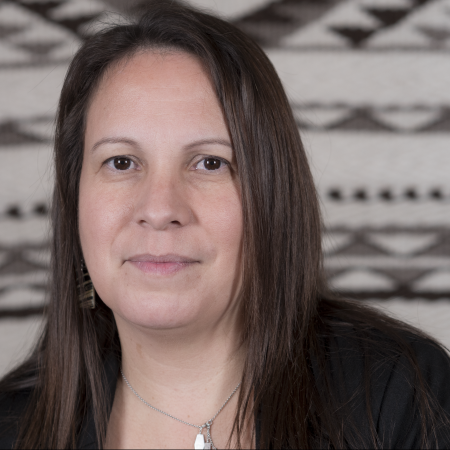 She serves on the Dogwood 25 Board of Directors, the Indigenous Adult and Higher Learning Association Board of Governors, and the Simon Fraser University Aboriginal Steering Committee. A proud member of the Musqueam Indian Band, Tammy enjoys spending her spare-time with family and friends. She is the mother of two beautiful daughters (Megan and Danielle) that have pursued careers in the field of Nursing, and a grandmother to Baby Lennox, with a new grandbaby on the way. Tammy is committed to the advancement of her community with a conscious recognition of the past, an awareness of the present day needs, and the vision for a better tomorrow.